Well met, Knights of the Whisky Round Table. Well met. Nearly two years ago, Jason Johnstone-Yellin of guidscotchdrink.com had a great idea: bring together 12 prominent whisky bloggers and hold a monthly conversation regarding whisky; the ins, the outs… everything and anything whisky-related. 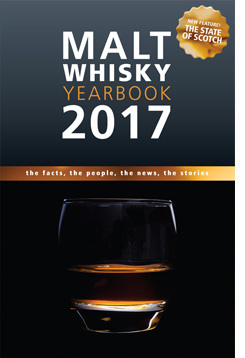 In case you’ve missed the previous year’s Whisky Round Table Discussions: click here to catch up. This month, rather than ask a question of us, Whisky Round Table Knightess and Knight from Whisky For Everyone (Karen and Matt) challenged us to a task. Being the type of person that always picked “DARE” in the game of Truth or Dare, I said GAME ON! Cha-longe!! Pick two or three members of your family and select a whisky drink (this can be straight dram, with a mixer or elaborate cocktail) or whisky & food pairing that you think they will like. Try to mix it up – pick an auntie who ‘hates whisky following a bad experience’, your brother who always asks “what’s the best thing you’ve tried this week?” or your dad who you are just trying to impress. You get the idea … hopefully! Make them begin to understand about the fantastic spirit that is whisky and why we all love it so much. You can read all of our answers here. Thanks to Karen and Matt for coming up with this great challenge! Not all of the members were able to partake in this month’s WRT question/challenge. Notably, Keith Wood of Whisky Emporium could not partake due to a death in the family – Keith my sincere condolences go out to you and your family. May the memory of your loved one always be for a blessing. 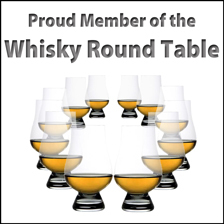 Again, for all of the Whisky Round Table discussions, click here.